Generally when the student is taking an unsecured loan from a private bank or an NBFC like HDFC credila, Avanse, Incred & Auxilo you are required to take a one-time insurance policy. The same is mandatory and is actually a life insurance. The benefit is that the parents would not have to repay the loan in case the child meets medical or accidental death. 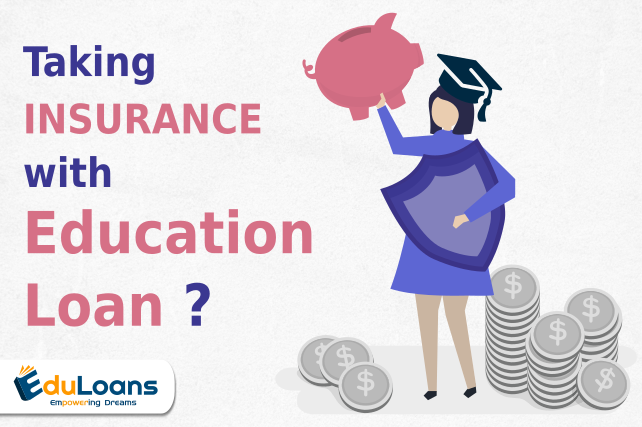 ← What are the girl child benefits while availing education loan? Which financial institutions provide benefit to the girl child?